So far this year, I seem to be all about patterns…and in spite of my being a professed outdoor, natural light photographer, I am showing man-made patterns instead of nature’s. I will address that topic one day but I’ve had so many opportunities to appreciate grand structures. I want to share them. In the first year of this blog, my first ‘Tip of the Day’ was about looking behind you when you are out walking in great natural places…anywhere really. That different perspective…another angle of light…the other side of something just might present the shot you didn’t know you were looking for. We’ve already established that I like great interior spaces. The architecture, materials and designs of historic (and modern) structures are full of photographic opportunities. And, as I have also said before, they are quite cooperative. 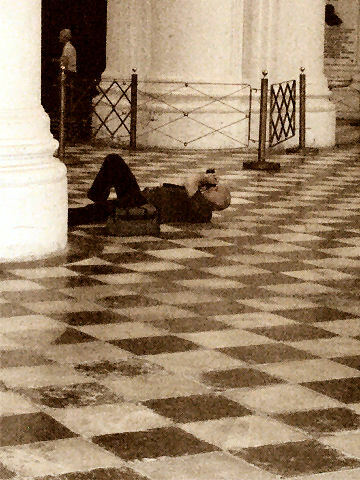 They stay put and allow you to take all the time you need to get the perfect shot. When I visit state capitols, if there is a rotunda, it just begs to be shot from directly underneath. The image may be two-dimensional but it is often balanced and colorful. Please. We don’t know what’s old. I remember having dinner in a restaurant in Vienna where they have been serving food at that location since 1554. In York, England, I recall seeing a viewing area that highlighted the town’s settlement history. Across from us, the land was carved away to reveal the successive occupants and cultures that existed in the area. Like tree rings or exposed geological layers, 2000 years of habitation were displayed…back to the middle ages and the Vikings before that and the Romans before that. I love visiting the ancient communities in European cities and especially photographing the inside of churches. 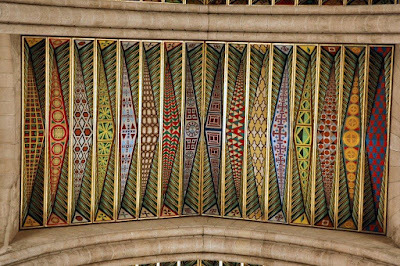 The arches, altars and stained glass all present an opportunity to play with lines and geometric forms. This is where I always look up. You can’t help but follow the lines that start on the floor. The windows and arches all direct your gaze heavenward. Look at the altar and it often rises up with candles and artwork, taking your eyes toward the ceiling. Standing (or lying) on the floor, you see how far away the ceiling is. The view is flat and two-dimensional so what you are left to appreciate are the lines. Notre Dame (above) in Paris is old. 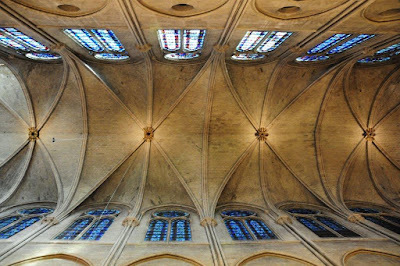 Completed in 1345, I imagine they were so pleased to have a functional roof so high above the ground that additional decoration was hardly necessary. 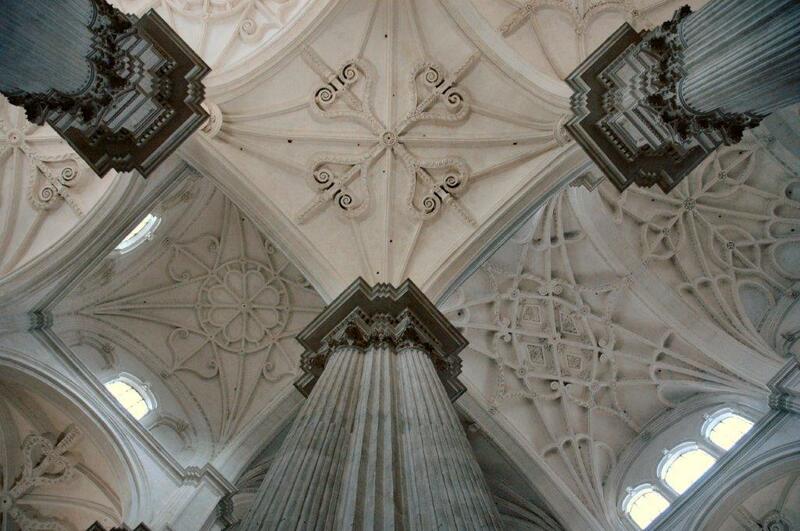 Completed in 1561, the cathedral in Grenada, Spain illustrates how the Renaissance styles allowed for more decorative touches. 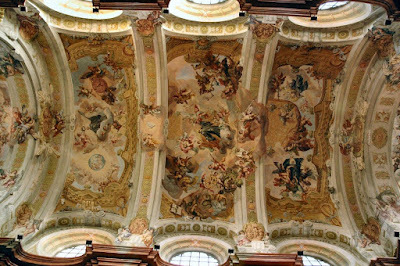 What can you say about Baroque architecture? By the 17th and 18th century, it appears they were very rich and full of themselves. It was the time of Counter-Reformation and the Catholic Church asserted its wealth and power in amazingly over-the-top ways. 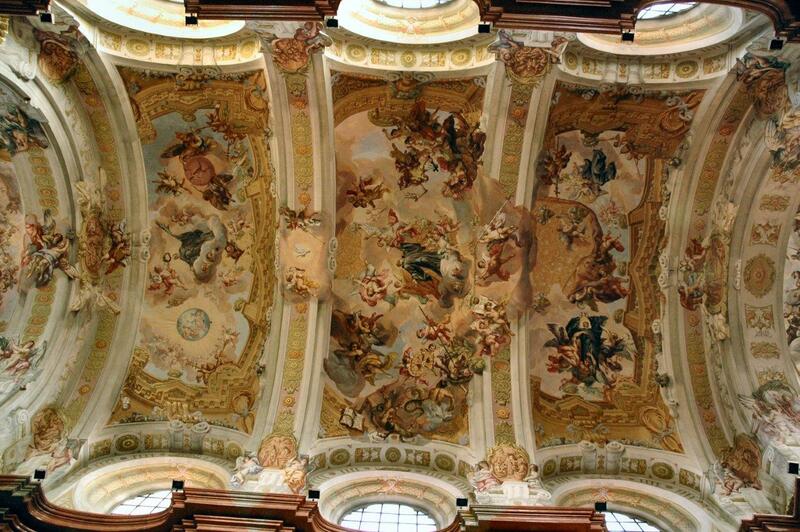 Melk Abbey in Austria is a great example. It’s as if every possible surface inside the chapel had to be gilded, sculpted or painted in some way. It can be overwhelming. ‘Gaudy’ may be an understatement. Across from the Royal Palace in Madrid, Spain is the Almudena Cathedral. Construction began in 1879 and was not completed until 1993. While the general appearance of the church reflects older, established architectural styles, the recent construction revises the terminology to ‘neoclassical’ and neo-Gothic. 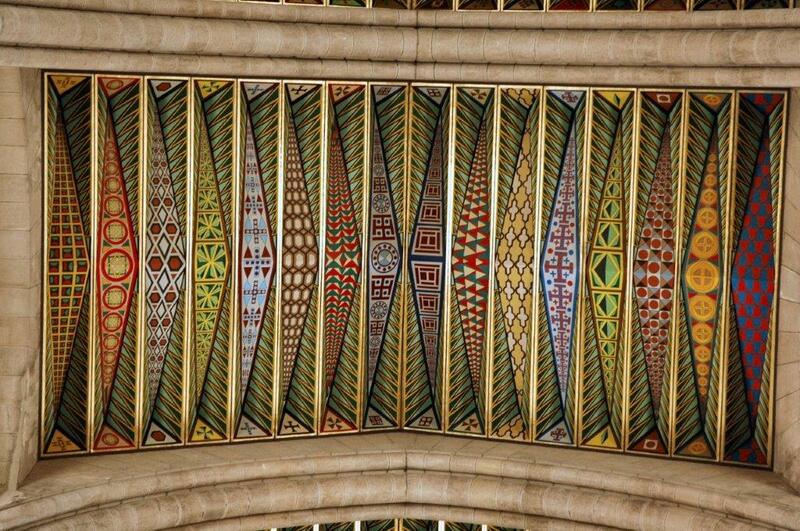 The ceiling over the nave certainly shows some modern and colorful decorative touches. There you have it. Another insight for the photographer. Keep your eyes open. Look around. Sometimes the image you want is directly above your head. Keep looking up. You know these are some of my favorites.